Baxi Boilers has been serving the heating industry for many years; they have a complete line of Solar Water Heating Systems and Near Condensing Boilers. Baxi Boilers offers condensing wall mounted boilers for residential and commercial applications. Baxi Boilers can be used with natural gas or liquid propane. By using a Baxi Boiler you can decrease the amount of fuel consumption as well as greenhouse gases. 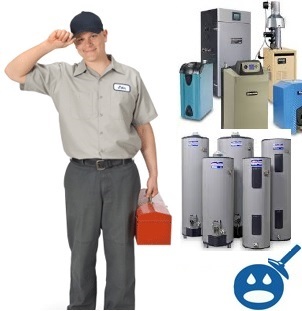 These boilers are Energy Star Rated, which means that you know that you are getting an energy efficient boiler that you, can save money with every month. One of the boilers in the Baxi product line is the Baxi HT 1.100 Condensing Wall Mounted Boiler, which is designed for commercial application. The Baxi HT 1.100 boiler uses 90% less CO and about 80% less NOx. This boiler is a high performance boiler that has an energy efficient rating of 98%, one of the best in the industry. You can use the HT 1.100 with any style wall radiator, baseboard heating, hydronic heating system and in-floor radiant heating system. 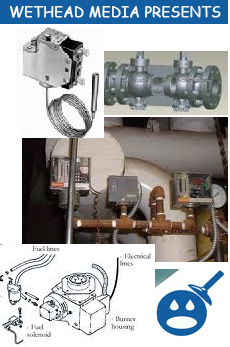 This boiler system is also good for snowmelt, heated towel rack applications. The HT 1.100 can only be used for heating only. The Baxi HT 1.100 comes complete with a fully automatic self-diagnostic system. There is a dual CPU microprocessor, which maximizes energy efficiency. On the HT 1.100 there is a circulating pump with an automatic air vent, expansion tank, heating circuit fill and drain valves. The HT 1.100 comes with a factory high limit switch, flue limit switch, backflow device and an inducer fan just to name a few. Some of the specifications of the HT 1.100 are the rated heat input is 379,127. The reduced heat input is 112, 980 and the rated heat output is 348,039 BTU’s. This unit is a sealed combustion system with an electronic ignition system. The regulation on the heating with circuit water temperature is a low of 86 degrees Fahrenheit and a high of 180 degrees Fahrenheit. The Baxi HT 1.100 is compact in size only measuring in at 37.40 inches in height x 23.62 inches in width x 25.62 inches in depth. The HT1.100 offers a double cylinder stainless steel burner. The heat exchanger is made from a nickel chrome stainless steel resistant material that will not corrode. The unit has an anti freeze protection that will allow the boiler to fire low until the temperatures reaches 86 degrees loop temperature is achieved. By getting a Baxi Condensing Wall Mount Boiler you can cut your energy bills by almost half. These units offer a modulating fan with a direct vent application. The Baxi HT 1.100 was designed with smart technology that includes an electric 3-way diverter valve and a pre-mixed burner with a primary heat exchanger. The Baxi Boiler is CSA approved as well as ASME H-Stamp certified. 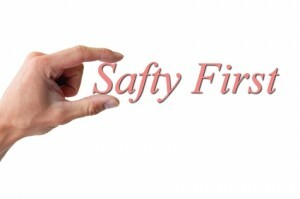 These boilers meet and exceed all regulations and standards for Energy Star and the Department of Energy. 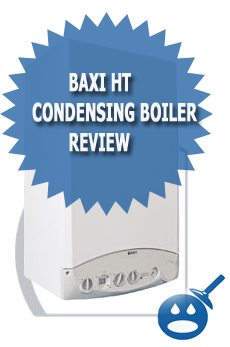 If you want more information on the Baxi HT 1.100 or other Baxi Condensing Boiler, contact your local Baxi distributor. Today baxi boiler is one of the most familiar boiler.Everyone wants to use this boiler.Because this boiler not only reduce our costs but also reduce Co2 gas from our environment.Which is really helpful for our environment.This boiler also popular for it’s repair system.It can easily repair then other boiler.